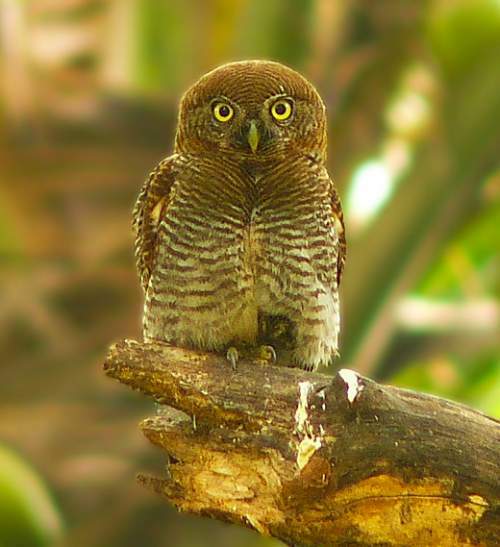 The jungle owlet (Glaucidium radiatum) belongs to the family Strigidae under the order Strigiformes. The family Strigidae was first described by William Elford Leach, MD, FRS (2 February 1791 – 25 August 1836), an English zoologist and marine biologist, in a guide to the contents of the British Museum published in the year 1820. 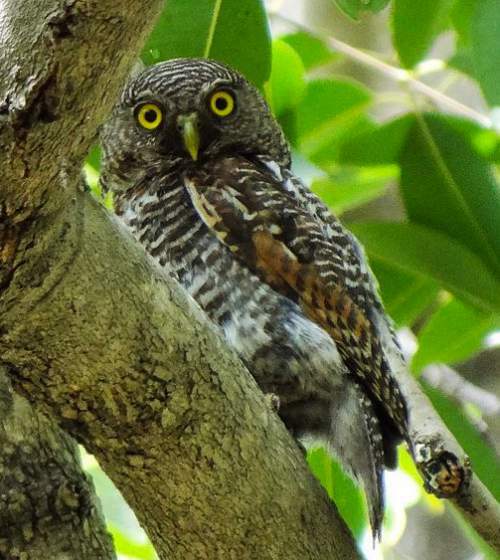 The family Strigidae comprises about 25 extant genera and 189 species. 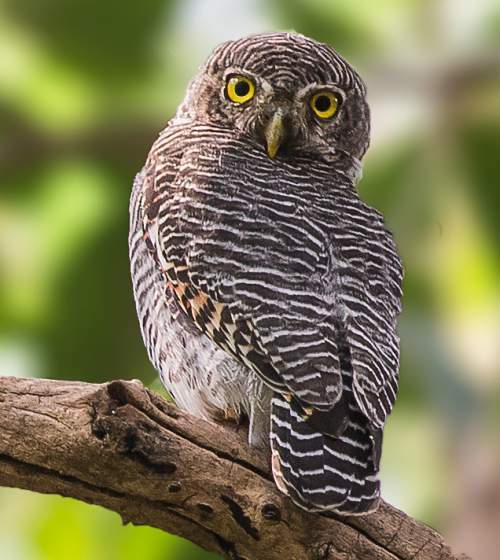 The genus Glaucidium was first introduced by Friedrich Boie (4 June 1789 – 3 March 1870), a German entomologist, herpetologist, ornithologist and lawyer, in the year 1826. 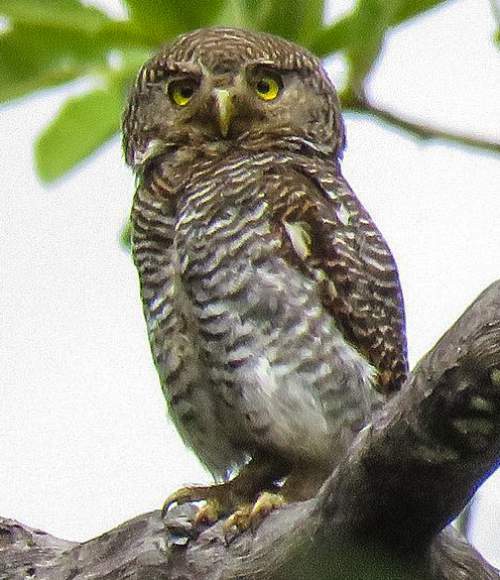 The genus Glaucidium comprises about 31 species. 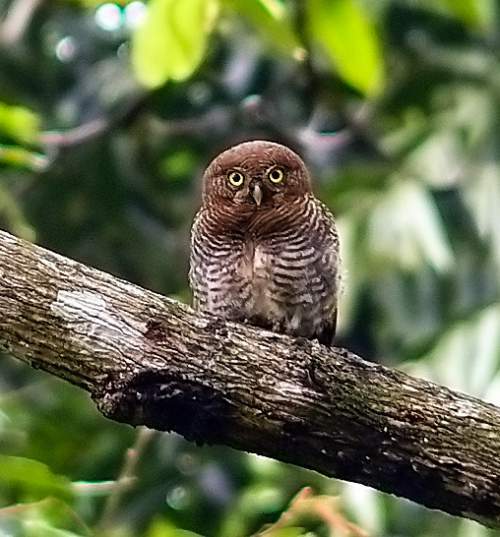 The species Glaucidium radiatum was first introduced by Colonel Samuel Richard Tickell (19 August 1811 – 20 April 1875), a British army officer, artist, linguist and ornithologist, in the year 1833. 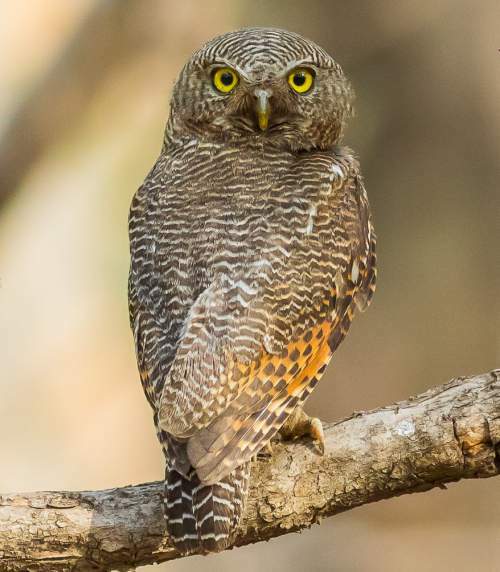 The species G. radiatum is polytypic and comprises two subspecies, viz., Glaucidium radiatum radiatum and Glaucidium radiatum malabaricum. 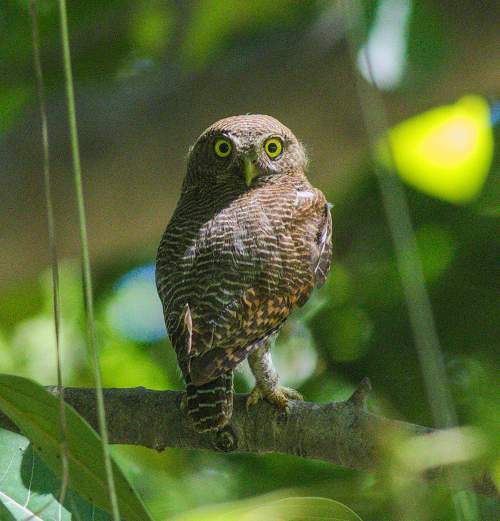 Current topic in Birds of India: Jungle owlet - Glaucidium radiatum photos.